The Custom Smalls offers professional-grade performance and adjustability to team riders like Kyle Mack and Ben Ferguson. Kid-specific sizing in a soft-flexing, shred-everything package, the Custom Smalls is all about rallying from dawn ‘til dusk, peak to parking lot. The bomb-proof baseplate is covered in cushioning, while tried and true strap tech ensures boned-out mobility and on-the-fly adjustability. Lightweight, Bomb-Proof Polycarbonate baseplate is surfy and playful for laid-back, relaxed cruising. 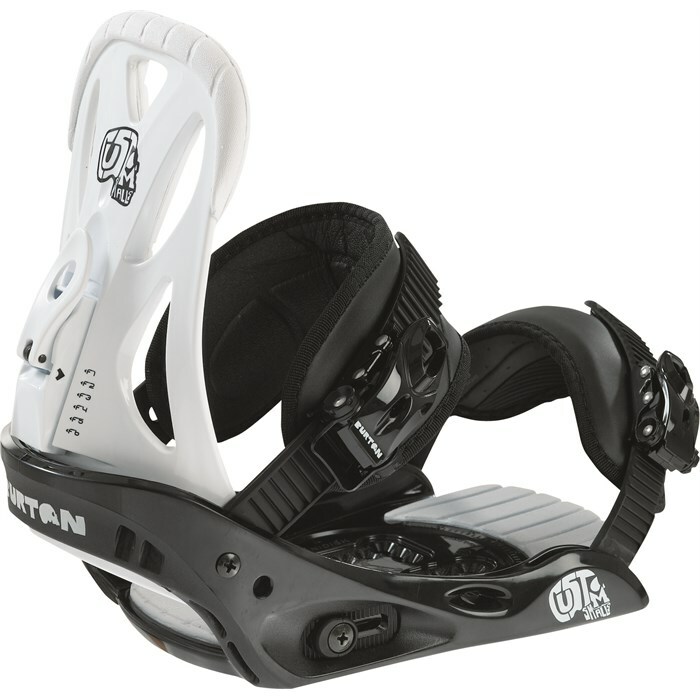 Burton’s new Ultra-Minimized Single-Component Highback trims the fat from the old Mission’s without compromising strength, response, or comfort. Dual-component Smooth Glide buckles have a buttery entry and exit, and unmatched strength. Limited Lifetime on Baseplates Please note that only items sold as new, blem or with damaged packaging are eligibile for the listed warranty.